I know that now you have taken care of all the kids’ presents and you are chilling out somewhere in a Russian banja, vigorously whipping your back with birch sticks and rolling in the snow to keep you fit. As Sawira is a beautiful oriental saffron oud rose perfume that is quite ethereal but also ornate in its presentation. Think of all the rose saffron / oud / davana fragrances you’ve tried in the past few years and this is that and more. It has a healthy dose of JASMINE, carnation, cardamom for a floral flourish, prominent in the first few hours, that is a celebration in a bottle. As Sawira has a remarkable dry sweet wood base that I could swear is a Mysore sandalwood that you might have found 30 years ago, but not today. The dry floral oud sandalwood type base becomes more prominent until it is the central feature of a skin scent left after the burning off of the rose oud and saffron smoke is dusted on the skin. A nice combination of sandalwood, gaiac wood, patchouli, cedar, musk, and vanilla makes up the dry remnants of this hopeful scent. 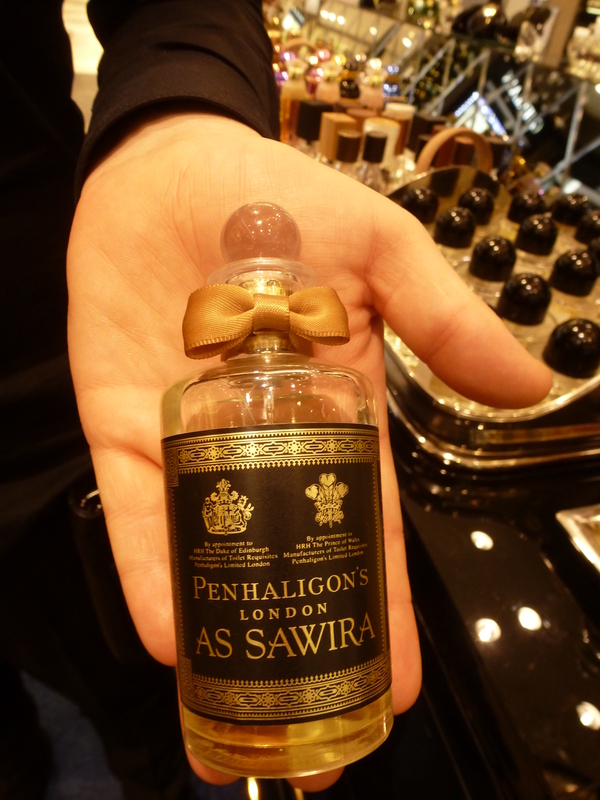 I am happy to see a house with the tradition of Penhaligon’s launch a fragrance with this type of legendary patina. I am tempted to purchase a bottle if only to have such a treasure in my collection. As Sawira is a fierce feminine (masculine) fragrance, Or an enlightened masculine (feminine) scent. You can see I like it very much.